First and foremost people enjoy participating in our programmes. We create an atmosphere that encourages involvement and enables us to give feedback to every participant. We take an experiential learning approach, designing tasks and activities that are challenging, at times frustrating, but always appropriate to the organisation and fun. People leave our programmes energised, with specific actions to work on. Whatever the stage of career – staff member, manager, future leader, leader, board member we offer programmes that are highly practical and effective. 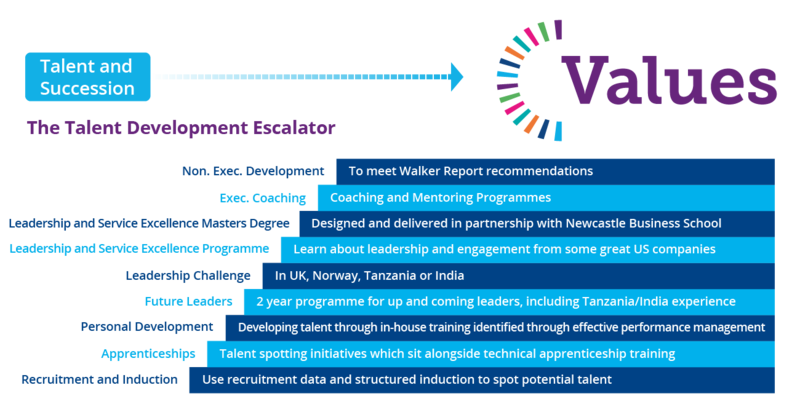 Whatever your preference – from classroom based to international challenge programmes in Morocco, Tanzania, USA India or Norway we’ll work with you to create the right experience..
Finding the right people with the right attitude, values and experience is critical. We can design and deliver the whole recruitment and induction experience – using assessment centres, psychometric tools, and training your recruiters. Performance Management is the Marmite of people development! We’ve come across people who love it and those who hate it. We love it because we know how to get it right. Design a bespoke performance management system that reflects these. Help you decide review periods and appraisal timescales. Build in a professional development plan that feeds this into your succession and talent plans. Ensure a “balanced scorecard” approach that measures not only what individuals achieve, but how they achieve this against your behaviours or Values Help you link the performance plan to your performance related pay or bonus structure. Train your Managers and staff on how to get the best from the process. Our Personal Development programmes continue the employee engagement theme. They incorporate your Vision and Values so that staff understand what the organisation is trying to achieve, the role they play in this and the reason you are making this investment in their development. We use experiential learning techniques which have been proven to have a longer and deeper impact upon the learner. We deliver our programmes classroom based, through conferencing and e-learning and we can even taken learners further afield to USA, Norway, Tanzania, Morocco or India. If you fancy a Bear Grylls experience we can even organise that for you. And we’ve all seen the consequences of Managers getting it wrong – which is usually down to poor training. The consequences of which often result in HR being parachuted in to resolve the issue, the Manager feeling unsupported and exposed and employees becoming disengaged. Give Managers the knowledge they need. Through the use of experiential learning, give them the experience of applying this knowledge in a safe and supportive environment. Use skills practise and feedback sessions that are challenging and replicate real life situations. Test that Managers have retained the learning and can apply it before they leave the programme. Is talent a product of nature or nurture ?… we believe it’s both. We believe everyone has talent, and it is the responsibility of leaders to unlock it. In our experience, great organisations adopt a structured approach to talent development, and that’s exactly what The Employee Engagement People do. We support organisations in developing a talent programme which is levelled… a Talent Escalator which sets out clearly the developmental support available to talented people. Then though the design and application of Development Centres we identify the level at which individuals join the programme, and we compile a Talent Register. Finally, we work with the organisation to develop a Succession Plan ensuring that there is “strength on the bench” ready to step up when needed. We get tired of seeing tedious “death by PowerPoint” leadership programmes so we do things differently. Our Action Learning Set Programmes involve leaders forming teams to deliver in-house projects supported by learning interventions from us along the way. They learn as they work, and the learning is applied in real situations that benefit the organisation immediately. Think of employee engagement as a jigsaw. Without all of the pieces the picture is incomplete. We create a specific Employee Engagement Plan with you, linking the pieces together so that it is as complete as and sits alongside your Financial Plan, your People Plan and your Training Plan. We draw upon the experience we have gained in working with organisations in UK and USA, and help you create a design which suits your organisation. The design includes programmes relating recruitment, induction, personal development, management development, leadership development, talent and succession. We help you set the timescales and deadlines for delivering these, and if you’d like us to we’ll help you roll the design out to your employees so they fully understand and support it. Finally, we can help you measure its success through online employee engagement surveys or face to face focus groups.